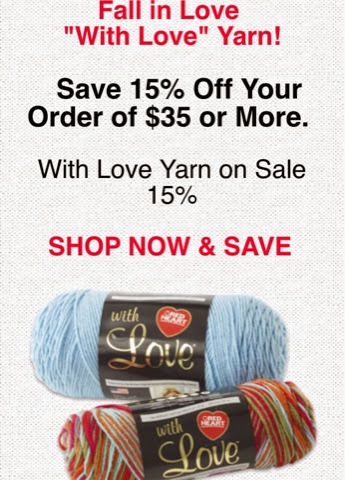 Fall in Love “with love” Red Heart Yarn! Just thought I’d share this awesome sale that Red Heart is having ! This yarn is super soft, and the best part is that the skeins are quite large so if you need to make a scarf, you can probably get away with one bunch. 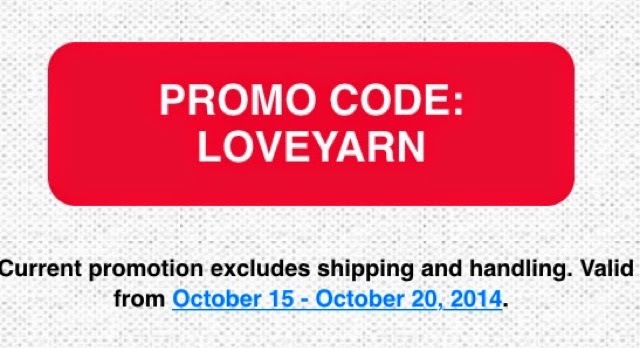 So, you can go to http://www.redheart.com/yarn/love and use the code below. Let me know how it goes !! !